Tammy Lynne hasn't added a story. 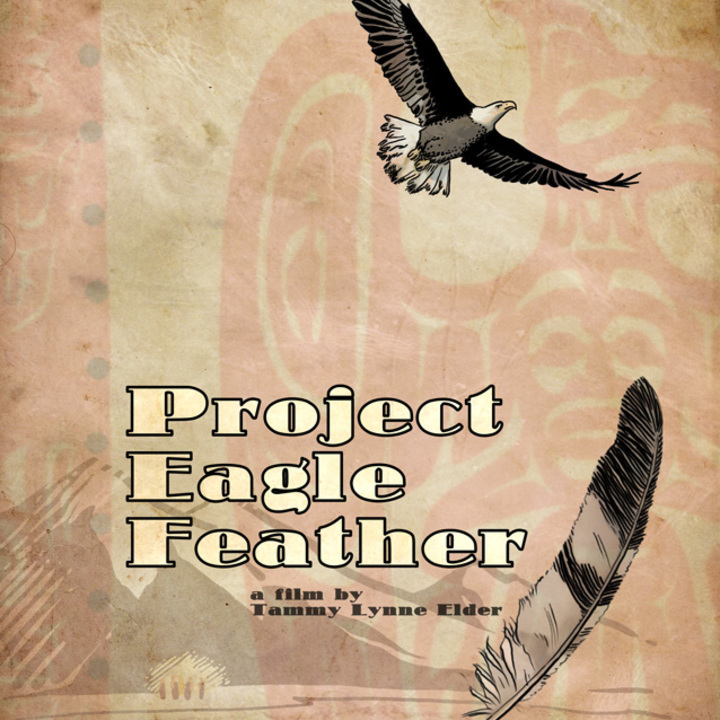 My name is Tammy Lynne and I am an Indigenous Filmmaker. I was just accepted to receive $1000 to attend BANFF WORLD MEDIA FESTIVAL through creative B.C. passports to markets fund. This is a great opportunity to kick-start many of my film projects in development, plus, find distribution opportunities for my completed documentary film project WHEN THEY TOOK THE CHILDREN. I need the money because my total costs to make this happen is $3690. I have $690 to chip in myself so the total I need is only $2000. Which consists of 1695 conference registration, $600 airfare, $400 4 night hotel, 4 days food $240, ground transportation $200, marketing materials $200, overhead $335. I'll be finding ways to scale this back and make sure this happens. Any and all help is super appreciated. . thanks for your time!!! So many of my projects will be supported by this trip including my newest project BENEATH THE WEB (horror/thriller). Which I'll be working on with my daughter. This is a project that is fun and exciting. Which is different from all the emotional work I have been doing. I also have a great animation project called GREY EYES (kinda like a First Nations Harry Potter)created by my wonderful writer friend Frank Busch. I will also be looking for leads for my documentary series THEY NEVER STOPPED TAKING THE CHILDREN. Which takes a look at the international problem of wrongful First Nations child apprehension. A project very close to my heart. This opportunity will get me lunch with decision makers like NETFLIX. I'll also send updates of the progress of my trip!! All donors of $30 or more get a copy of my latest completed documentary WHEN THEY TOOK THE CHILDREN. 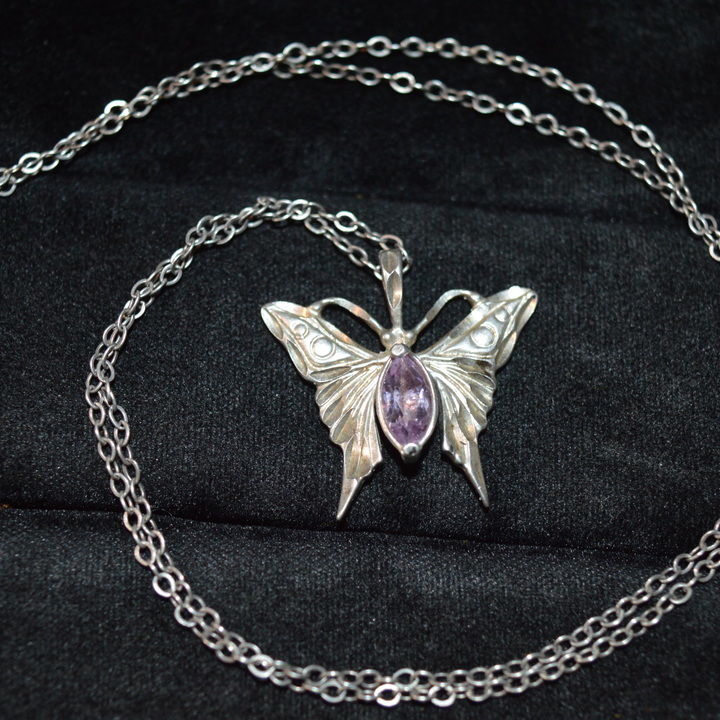 OR a piece of vintage sterling silver jewelry!!! Any and all help is appreciated!!! Thanks so much for your time!!! Tammy Lynne hasn't posted any updates yet. 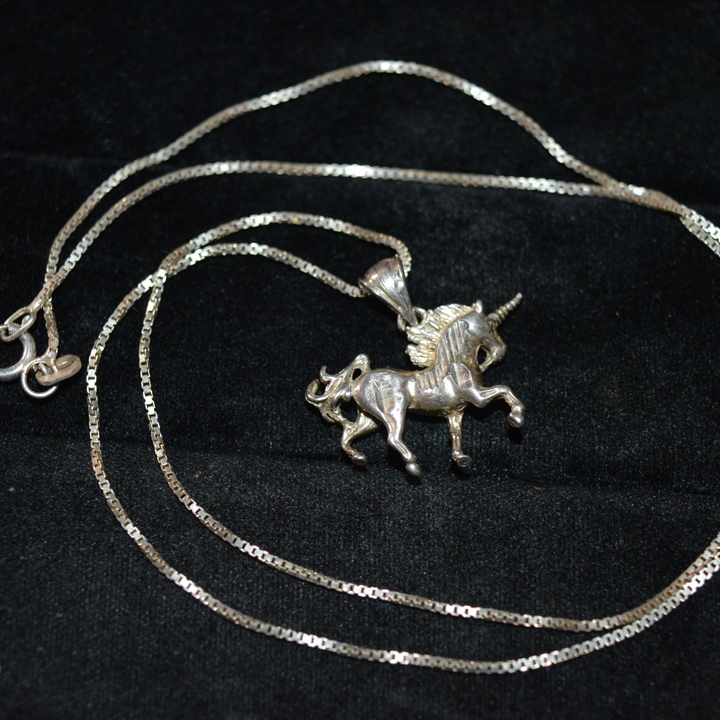 Gorgeous sterling silver unicorn necklace. UNIQUE only one available!!! mixed in with chicken eggs mirrors the stories of the victims and delivers a message of hope. Tammy Lynne is managing the funds for this campaign. The campaign is for a personal cause.